Vice Captain Prize Presentation Night; This event will be held in the Templemore Golf Club Lounge on Friday 10th. November, all Ladies and Gents will be more than welcome to a great night of entertainment, banter, own bar and refreshments. 3T’s Finals; will be on the 23rd. Oct. in the K-Club. Best of luck to the Templemore Golf Club team, Josie Bourke, Des Hennessy, Sadie Tynan and Jerry Keegan a proud occasion for you all and the Club. Results; Presidents Prize; 1st. Sean Lee. 2nd. Paddy Bourke. 3rd. Tom Slattery. 4th. Denis Ryan. Several count backs were required to determine the winners. The full details are on the competition registration book in the locker room. Men’s Singles Match play; This event is now at the final stage as follows; Jerry Keegan jnr. (Finalist) V (Conor Sheedy V Seamus Bourke). Seamus is currently in warm sunshine environment training for this event and on his return it will be an exciting finish to this event. Best of luck to all. Golfer of the Year; Position as of October 1st. with 4 to 6 rounds to play depending on the weather. Currently the top 3 positions are; 1st. Place; Brendan Russell 154pts. 2nd. Place; Michael Walsh 150pts. 3rd. Place; Hugh Scott 155pts. There is still plenty of opportunities to gain or increase your points for this prestigious event. The current full list of placing are on the notice board. This is an accumulation of all points achieved from all competitions throughout the year. 14th. 15th. Oct; 18 Hole Stableford. 21st. 22nd. Oct; 18 Hole Stroke Play. 28th. 29th. Oct; 18 Hole Stableford. Time Sheets; “Don’t be without your Sunday game! “ Place your name on the Sunday time-sheet so that you can link up with other players. Ladies Golf; The Presidents prize took place last weekend 30th. Sept. President Tony and Lady President Maura can take great pride on a most successful event. All week long the weather forecast looked ominous with plenty of rain forecast, but predominantly it was the sun that shone on most players during the competition. Lady President Maura stayed the event on Monday with a 9 Hole Senior/Beginner competition. It was great to see a new member winning. The main event took place on Saturday. There were many ladies in very close contention with Lady Captain Josie eventually emerging as winner. It was a double for Josie who actually won Maura’s Captains prize many years ago. The presentation of prizes took place in the Templemore Arms on Saturday night. Both Presidents were piped into the event by none other than the GUI President Elect Mr John McLoughney and wonderful night was had by all. We thank Maura and her family for their generous hospitality throughout the event and compliment her on her beautiful prize. We also congratulate President Tony and the winner of his prize, “Sean Lee”. The results are as follows: 1st. Josie Bourke (14) 37 pts. 2nd. Ann O ‘Rourke (23) 36 pts. 3rd. Mary Lou Carroll (19) 36 pts. 4th. Sara Hearne (30) 36 pts. 5th. Mary Ann Maher (23) 36 pts. 6th. Past President Kay Brennan (27) 32 pts. 7th. Margie Costigan (26) 30 pts. Front 9; Kathleen Maher. Back 9; Mary Hayes. 9 Hole Competition; 1st. Margaret Moran. 2nd. Alma Ryan. 3rd. Maura Ryan. October 7th Francis Murphy’s prize. Draw at 9pm and 2pm. October 21st Men’s prize to the Ladies. Draw 10pm and 2pm. Results for Tuesday 3rd. Oct. 18hole Stableford; 1st. Ann O’Rourke. 2nd. Kathleen Hennessy. Francis Murphy’s Competition was held on Saturday October 7th. The weather conditions were ideal. There was a great turn out of Ladies. Results will be in the next News Bullitin. Volunteers; Well done to all the volunteers that helped to make the course ready for the Presidents Prize weekend and also for the Ladies “Francis Murphy’s Prize” on Sat. 7th. Oct. All appreciated. Seniors Report and Results; Thursday 5th. ; 1st. Team; Tom Mc Grath, Ray Maher, Donal Golden. 2nd Team; Rody Cawley, Pat Costello, P.J. Leahy, Pat Maher . 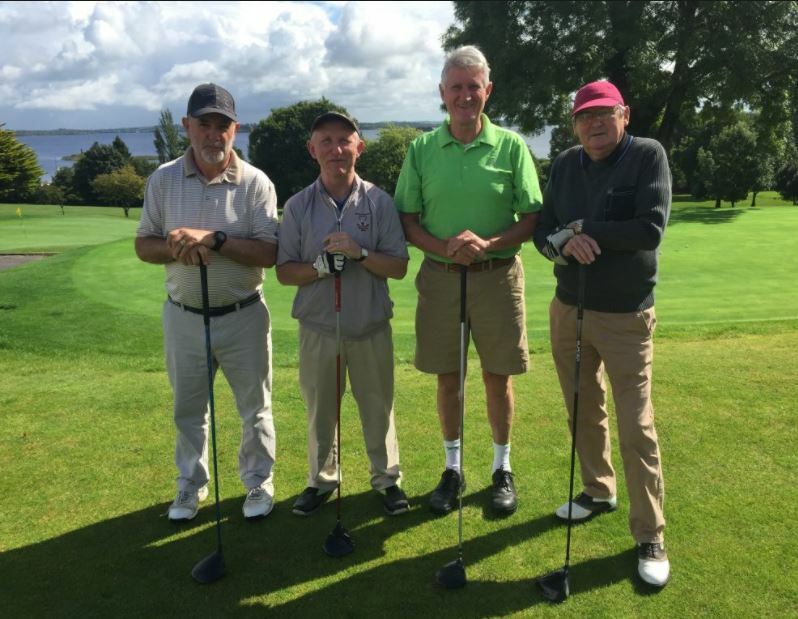 3rd Team; George Collins, Mick Connell, Frankie Shortt, Tony O’ Toole. Next away outing will be in Roscrea on 19th. Oct. Contact John Stapleton (by text only) 086 0894718 to sign up for this great event which includes a choice meal. Next Seniors; Thursday 12th. Oct.
LMC Winners; Watch this Space “Golfer of The Year Update” Ballinasloe result on Monday 9th. will be a decider to see if our 2 members remain in the top 5 placings; Currently on the leader Board are; 2nd. place; Liam Daly, 299 pts. only one point behind the leader. 4th. Place; Mick Carey, 280 pts. It’s great to see 2 of our members still competing in the top 5 of this event. The best of luck in Ballinasloe. President Statement; This is Your Club the members, both Ladies and Gents, therefore be proud and supportive of it, in whatever way you can that will make a difference. 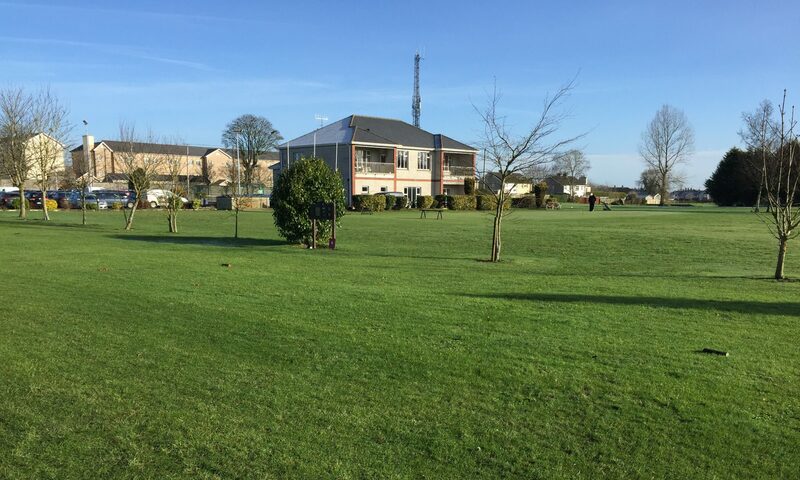 Be positive and protective of its future, so that the youth and next generations of Templemore will inherit the legacy and asset of this great sport facility, “Templemore Golf Club”.